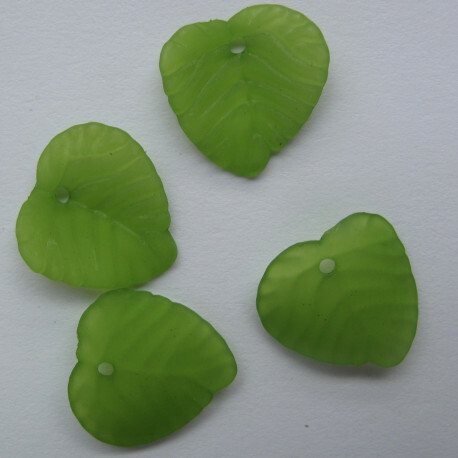 > Flowers and Leaves>Lucite Flowers and Leaves>Lucite Leaves>Green lucite, leaf. Green Lucite, Leaf. Approx. 14 mm by 14 mm. Approx. 57 per Pack.